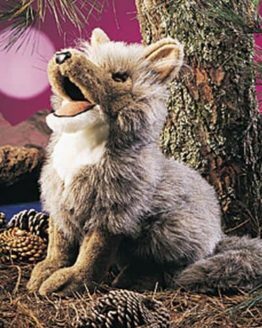 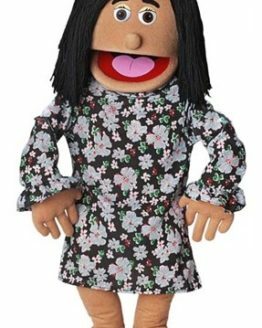 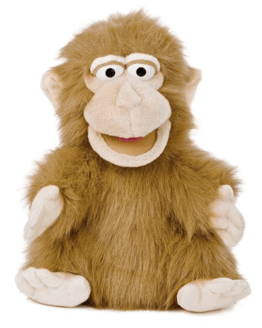 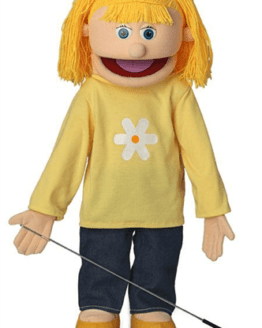 This NEW fullbody Katie puppet stands 25 inches tall and comes dressed as shown. 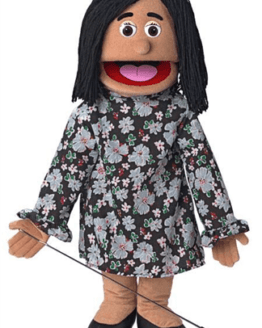 Puppets wear child size 2T clothes. 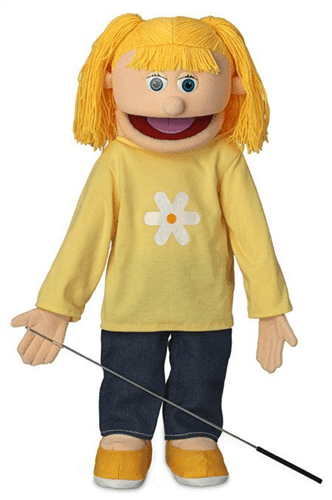 This NEW fullbody Katie puppet stands 25 inches tall and comes dressed as shown. 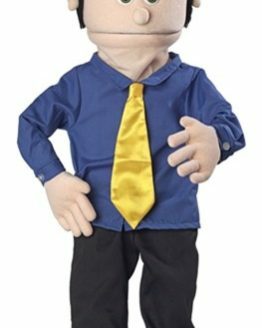 Puppets wear child size 2T clothes. 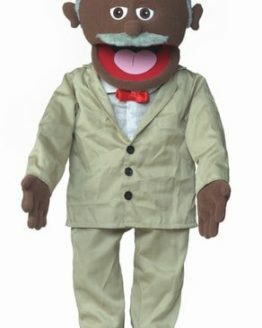 Insert your hand into the slot in the puppet’s back to operate the mouth. 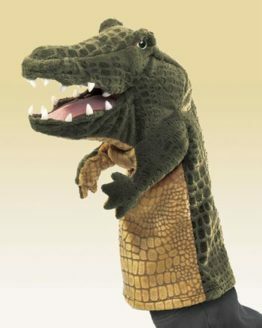 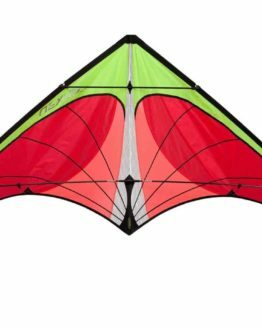 Included is one arm rod which can be clipped to either hand for movement .